Congratulations to all of the NTC girls that competed this year in high school tennis. 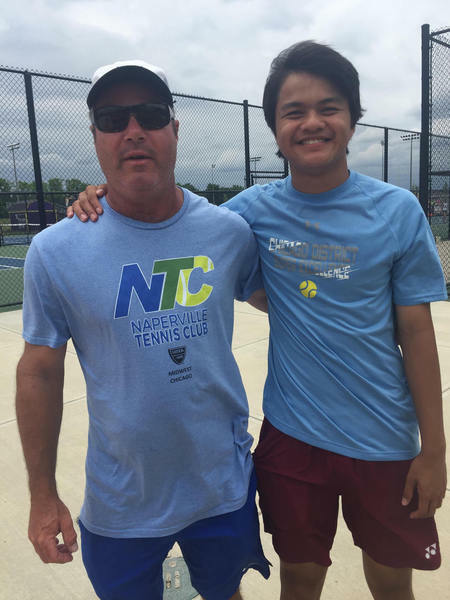 Below please read about the NTC players who competed in the Illinois State Championships. Maria Goheen West Aurora High School -finished 2nd in the Singles Championships after winning the state doubles title last year! The West Aurora High School team had a top 10 finish. Way to go Maria. NTC would like to wish her continued success in her tennis career. Olivia Oosterbann from Hinsdale Central High School finished her high school state career by getting to the quarterfinals. Olivia has committed to the University of Montana to play her college tennis. Also from Hinsdale Central High School, senior Shalini Sahgal played doubles and made it to the round of 16! These Hinsdale Central girls, who work out at NTC, helped Hinsdale Central High School win yet another state team championship. Congratulations!! 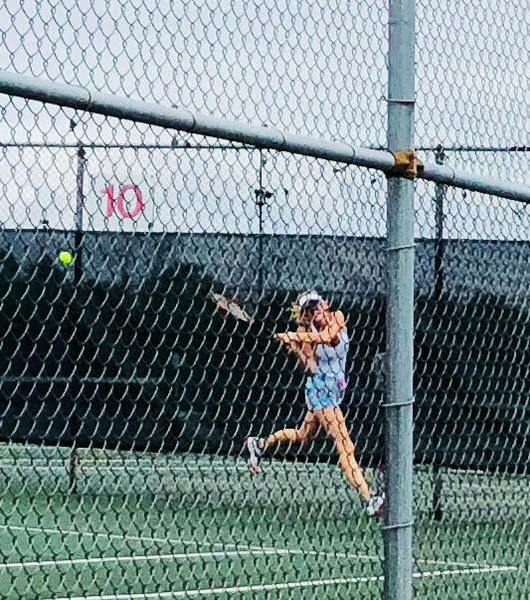 Junior Maddie Jurasek from Maple Park High School (Kaneland) made it to the round of 16 in the singles division and helped her team place 4th in the state tournament. What great results! NTC congratulates the girls, and wishes them well as several move on to the next step of playing NCAA Tennis. We wish to congratulate all of our players for qualifying for this event! Anthony Nguyen- finishes top 8!! Amazing results! Way to Go!! for the Midwest Closed Championships! Johny Mou was the winner! Read about Caroline in the Chicago Tribune HERE. NTC would like to congratulate both Caroline Dolehide and Tom Lockhart for her remarkable achievement at the Paribas Open 2018. 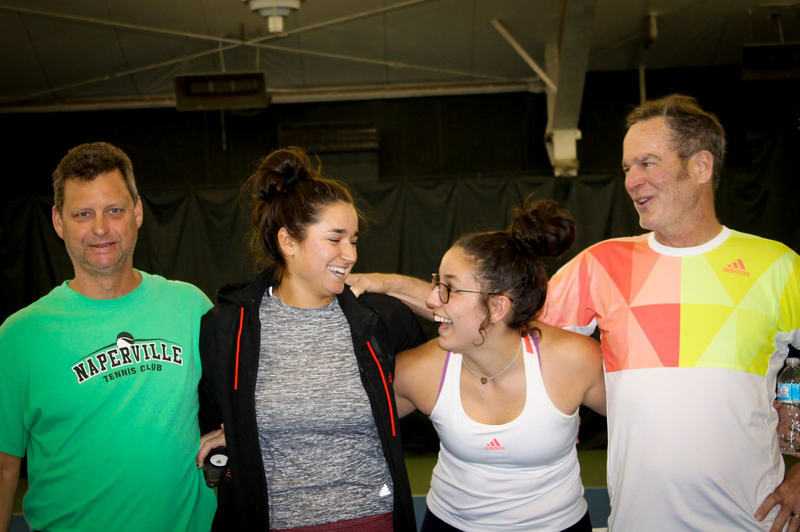 NTC is proud to be Caroline Dolehide's home court training facility when she is not on tour or at the USTA Training Site in Orlando. 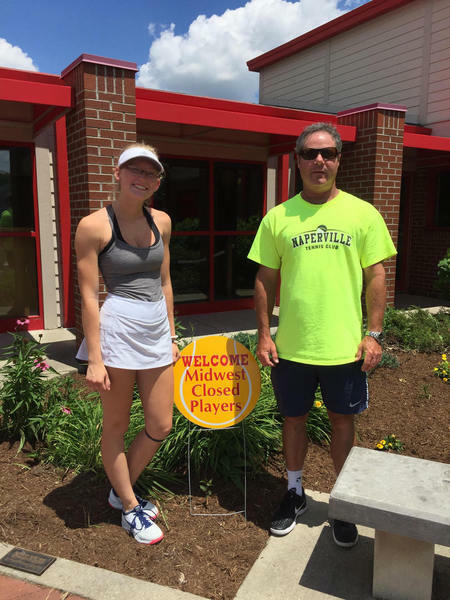 Our own Tom Lockhart has been coaching Caroline since the beginning of her tennis career. Tom said, "All the hard work we have done has finally paid off. Thank you to NTC and the USTA for all of the support you have given Caroline." This match gave the world it's first look at her impressive game. Way to go Caroline! NTC was cheering you on from home. Thanks for stopping by the club! Congratulations to all thirteen (13!) NTC girls who successfully made it through sectionals to qualify for the prestigious Illinois State Finals! Below are some of the amazing results including: NTC's Maria Goheen and her doubles partner Liz Sefancic won the State Title in Doubles! Sarah and her doubles partner made it to the Sweet 16! Carney, Eileen – Joliet West - Senior heading to Toledo on full ride! Eileen made it to the Sweet 16 in singles! Maria and her doubles partner, Liz Sefancic, won the State Title!! Grace and her doubles partner won 2 rounds, 1 in the main draw and 1 in the consolation draw! Maddie made it to the Sweet 16 in 1A singles, and added another win in the consolation round! Daniella and her doubles partner, Kendall Schrader, also from NTC, finished in theTop 16 in State! Gabby won 1 round in the main draw and 1 round in consolation! Olivia made it to the Sweet 16 losing to the Finalist. She went on to win 2 more matches to finish in the Top 12 in the State! Jackie won one round in the state finals competition! As a senior evaluating college opportunities, Molly finished a great high school tennis doubles career finishing in the Quarterfinals of the main draw in the State doubles competition! Kendall and her doubles partner, Daniella Nenadovich also from NTC, made it to theTop 16 in State! Gabrielle won 2 rounds in the 1A division singles competition, finally losing in the 3rd round of consolation matches! Tiffany and her doubles partner won 3 rounds in the 2A division! NTC is proud of our Junior Excellence Players and Coaches who competed in the USTA National Hardcourt Championships. We are proud to have had three players from our Junior Excellence Program qualify for the largest tournament of the year. This tournament is the US Open for junior tennis players. Only 12 players from each age group in the Midwest Section qualify for this event. 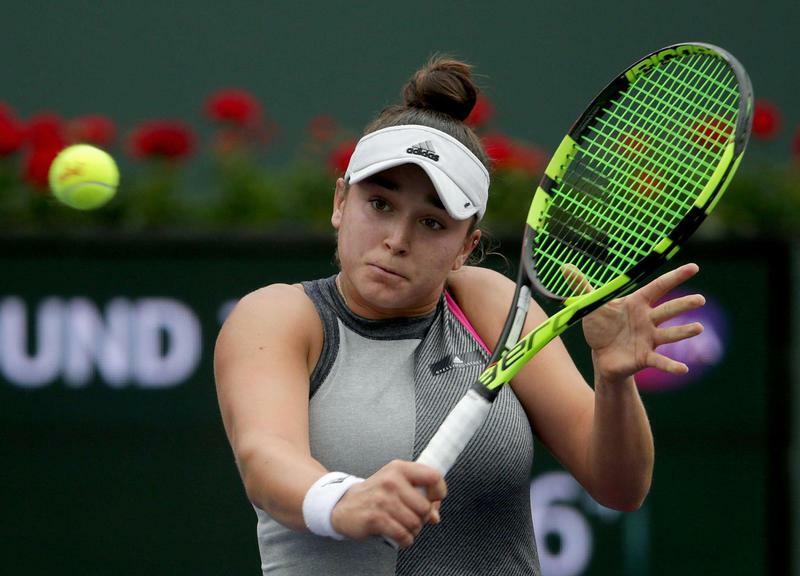 Not only does the winner of this tournament earn the title of National Champion, but the champion from the 16s event is also awarded a wild card into the U.S. Open Junior Singles tournament. The following players enjoyed tournament success such that they were invited to compete at the Hardcourts. 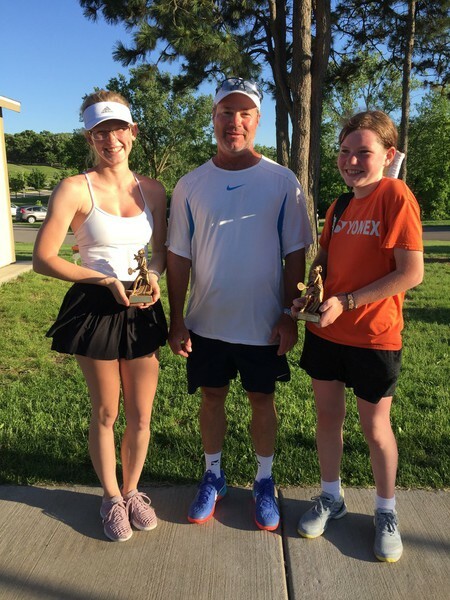 G 16’s: Maria Goheen from Aurora and Olivia Oosterbaan from Hinsdale, both of whom competed in the Girls’ 16 singles and doubles draw held in San Diego. 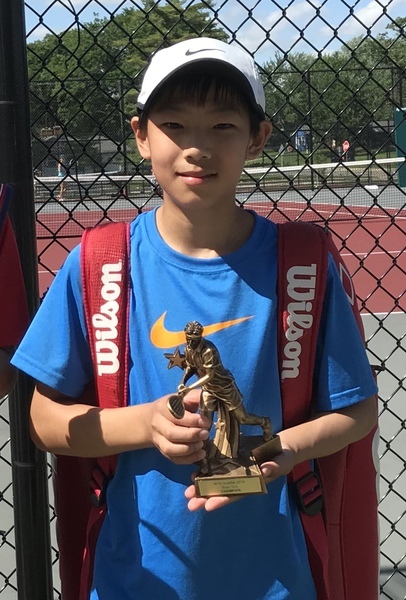 B16's: Alex Lee​ from Hinsdale had an amazing tournament at Kalamazoo, Michigan where he made it the Quarterfinal round of the Boys’ 16s main draw. Alex was narrowly edged out 3-6, 6-4, 6-4. Alex also competed in the doubles draw where he and his partner lost in another close three set match: 6-4, 2-6, 8-6. Alex’s success at “The Zoo” is remarkable as he was the only player from the Midwest Section to make it that far. Not only do these players represent how their hard work is paying off, but they also spark the hopes and dreams of the club's newer players who look up to their example of healthy and competitive determination. We applaud the efforts of these juniors, their coaches and their supportive families, who together produced such impressive results! 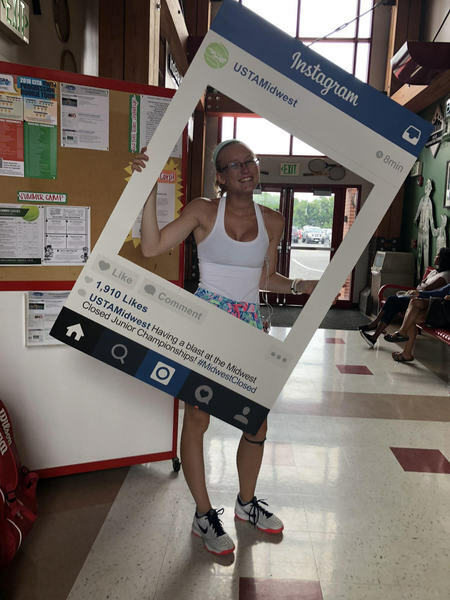 The USTA Midwest Open is a massive Level 2 event that consists of tournaments held throughout the Midwest Section, which is made up of five states, including Illinois, Indiana, Michigan, Ohio and Wisconsin. Four NTC players made it to the Quarterfinals of the main draw, and Maria Goheen made it to her G18s semi-finals! The accomplishments of all of these talented athletes and their NTC coaches prove they have dedicated themselves through hard work and a love of the game! Way to go! NTC is proud of our players who played in the USTA Midwest Level 1 Closed Tournament and excited by how well they competed. The Midwest Closed Junior Championships is one of the most prestigious junior tournaments in the USTA Midwest Section. The players of the Closed are comprised of the top 128 players of their age division in the Midwest Section. Players must be endorsed to participate by their local District Endorser. The following players finished the District Qualifier in order to be endorsed to the Closed. 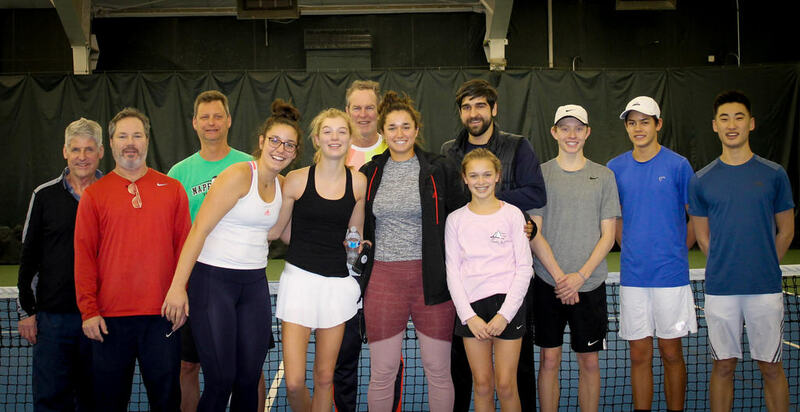 USTA/Midwest evaluated the 10 & Under program at NTC and has determined that NTC exemplifies the highest standard in youth tennis for 10 & Under players. Use of proper-sized equipment, quality of lesson plans, trained staff, and competitive opportunities were all considered. Only 4 clubs in the Midwest received this honor and NTC is the only club in Illinois. A main goal of this initiative is to ensure that young players receive the highest level of instruction through standardization of programming while progressing through the Red-Orange-Green-Yellow Ball (ROGY) Pathway. NTC acknowledges the entire 10 & Under staff for this remarkable achievement!